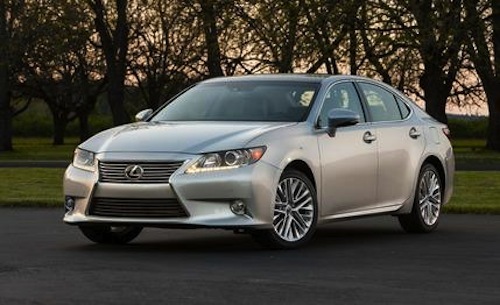 Consumer Reports has just uncovered a potentially deadly defect on model year 2013 Lexus GS and ES models. The consumer watchdog site reports that the emergency interior trunk escape lever may easily snap off during use, leaving an occupant trapped inside without any way to get out. Interestingly, it was the Consumer Reports’ tester Jake Fisher’s son who discovered the dangerous fault. According to Fisher, he let both his 4- and eight-year-old sons help in the investigation, because they both dream of being automotive testers like their father. The boys decided to examine the emergency trunk release on a 2013 Lexus ES 350, as they have with other vehicles in the past. The only difference was that this time, the release snapped off, leaving Fisher’s four-year old trapped inside. Fisher was easily able to open the trunk to release his son because he was standing by, but other parents may not be so lucky. It is especially troublesome that the small hands of a four-year-old would be able to effortlessly snap off the release mechanism. Fisher then opted to perform the same test on two other Lexus vehicles owned by Consumer Reports: the Lexus ES 300h and the GS 350. Fisher found that the emergency handle easily snapped off when he pulled it toward the driver’s side. As a result, Consumer Reports contacted both Lexus and the National Highway Traffic Safety Administration (NHTSA) about the issue. Toyota, which builds Lexus, responded saying, “Upon hearing the information from Consumer Reports, we immediately began investigating the durability and ergonomics of the emergency trunk release lever. This is an active investigation and we cannot provide more details at this time.” The NHTSA told Consumer Reports that is aware of the problem and is evaluating the situation to determine if further action is necessary. In the meantime, Consumer Reports suggests that owners lock their vehicle when unoccupied and do not let their children play in the trunk. Since 2002, all cars with trunks have included an emergency trunk release mechanism. Such mechanisms glow in the dark so the occupant may easily locate it. Although there have been no deaths in newer vehicles since the mandate, at least 22 children have died in older models unequipped with the safety release feature, according to Kids and Cars. The advocacy group also estimates that 10 to 20 people, including adults, die in trapped car trunks each year. Maybe because the child knows that it isn't a good idea to lock one's self inside a trunk but he's/she's just helping daddy with work?